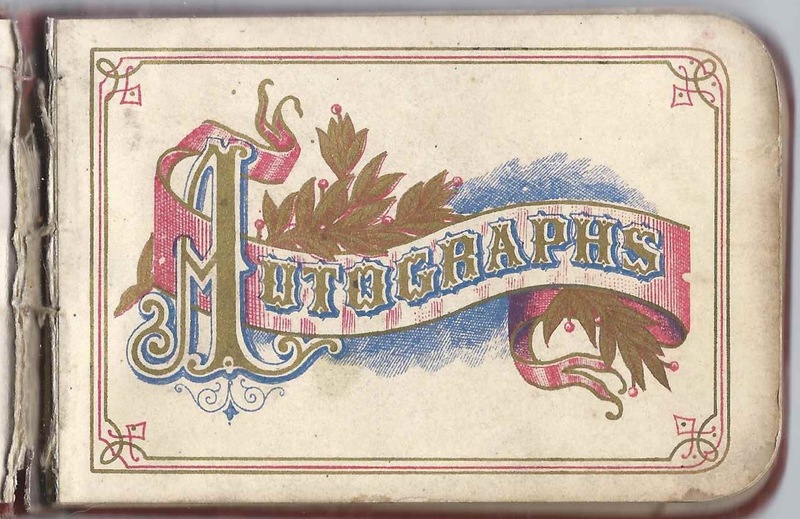 1878/1880s autograph album of Lizzie E. Pearsall of Bainbridge, New York. 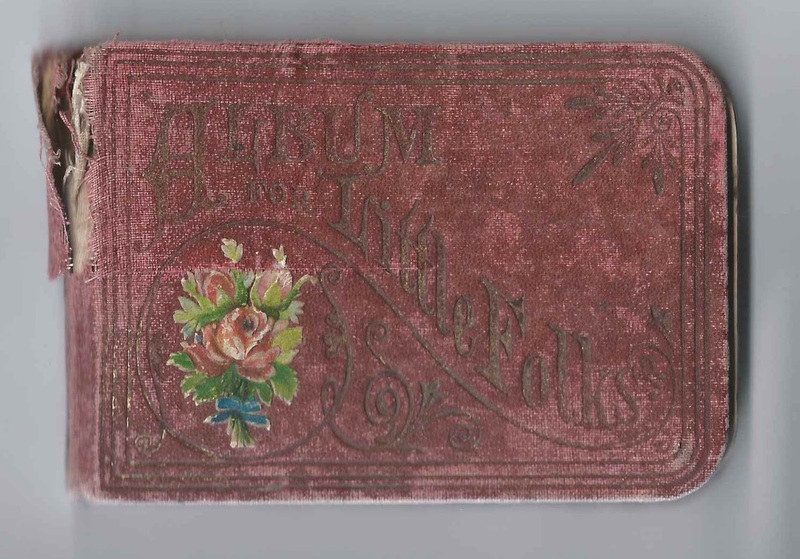 The album was presented to Lizzie by her teacher M. E. Davis in 1878. 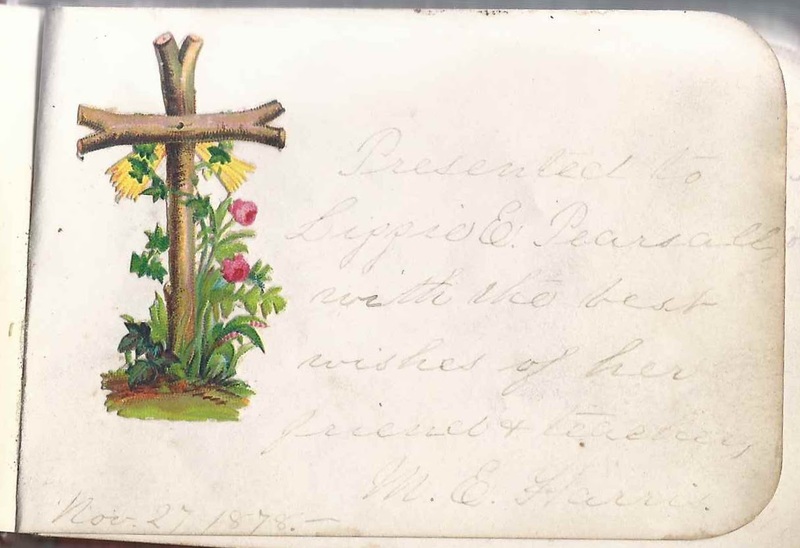 The album is approximately 4-1/4" x 2-3/4" and contains the sentiments of 75 of Lizzie's relatives, friends and teachers. An alphabetical list of the signers appears at the end of this post. Lizzie E. Pearsall was born 26 May 1867 at Bainbridge, New York, the daughter of Bainbridge natives Sherman and Lydia Maria (Minor) Pearsall. On 31 October 1883 Lizzie married dentist Clellan Locke Card, son of Nelson Delos Card and Josephine Maria (Locke) Card of Bainbridge, New York. 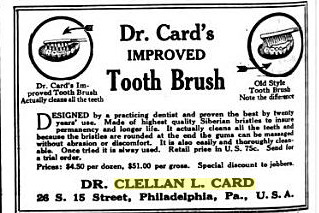 Dr. Card graduated from Pennsylvania Dental College on 25 February 1887. Sadly, Lizzie died at Philadelphia, Pennsylvania, on 30 January 1892, at the age of 24; according to her death certificate, she's buried at Bainbridge, New York. I don't believe she had any children, or at least children that lived. Clellan later married Alice E. Reen on 29 September 1897; they had three children, two of whom lived to adulthood. 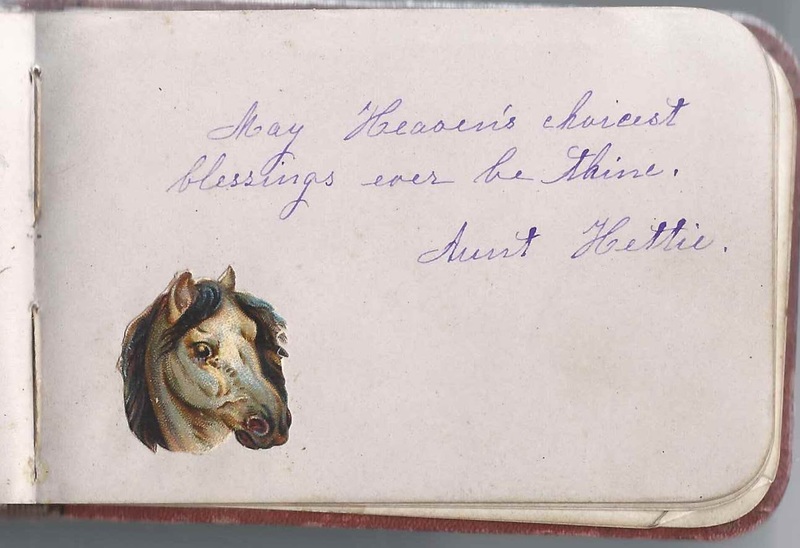 Lizzie's Aunt Hettie signed a page. I believe she was Henrietta Minor, "Hettie", half sister of Lizzie's mother Lydia Maria (Minor) Pearsall; their shared parent was George Minor. Hettie would marry William Leroy Laman in 1899. Two other people mentioned a family relationship with Lizzie. One was C. S. Minor of Deposit, New York, who was, I believe, Clinton S. Minor, son of Albert Philo Minor, full brother of Lizzie's mother's Lydia Maria Minor. 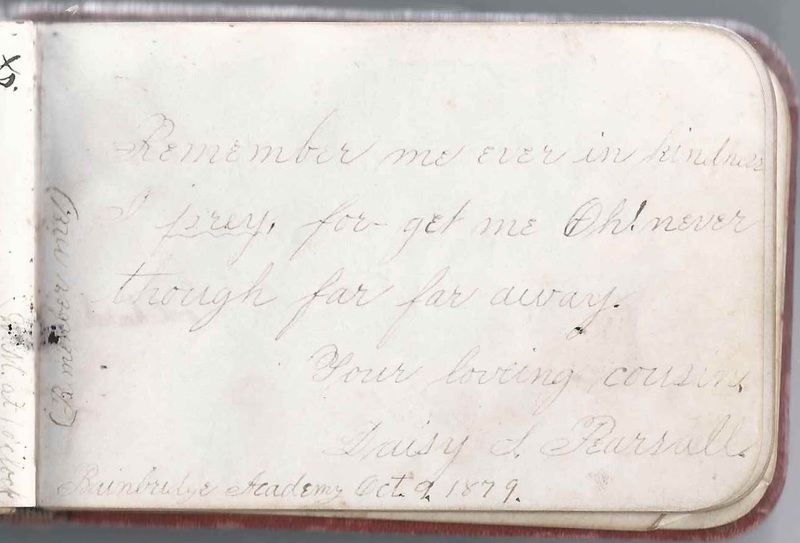 The other was Lizzie's cousin Daisy S. Pearsall, who signed a page at Bainbridge Academy, Bainbridge, New York, on October 9, 1879. If you have corrections and/or additions to the information above, or information on any of the signers listed below, please leave a comment or contact me directly. Aunt Hettie; presumably Henrietta Minor, half sister of Lizzie's mother Lydia Maria (Minor) Pearsall. Lydia's and Hettie's father was George Minor. Hettie would marry William Leroy Laman in 1899. C. S. Minor of Deposit, New York; Lizzie's cousin. Clinton S. Minor, son of Albert Philo Minor, full brother of Lizzie's mother Lydia Maria (Minor) Pearsall. 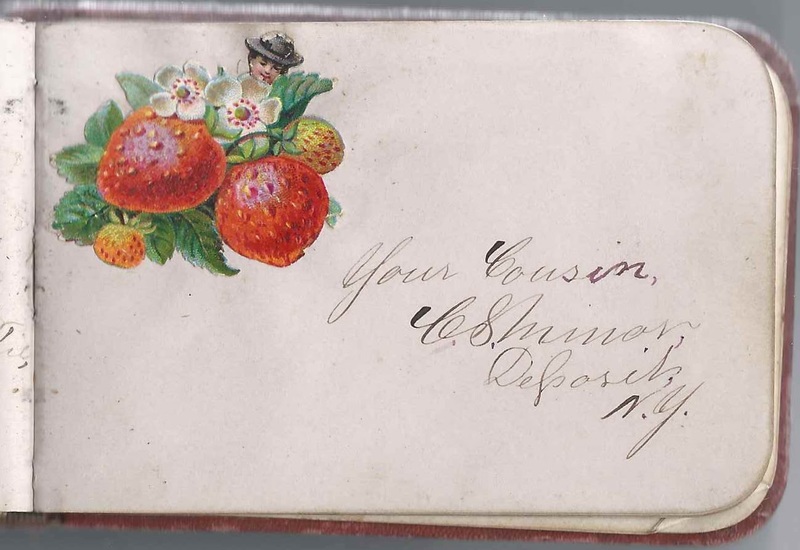 Hannah Rogers, signed at Coventry Ville, New York, on October 22, 1880; middle initial could be T or F or ?